White as cotton inside and out, and sweet as sugar. 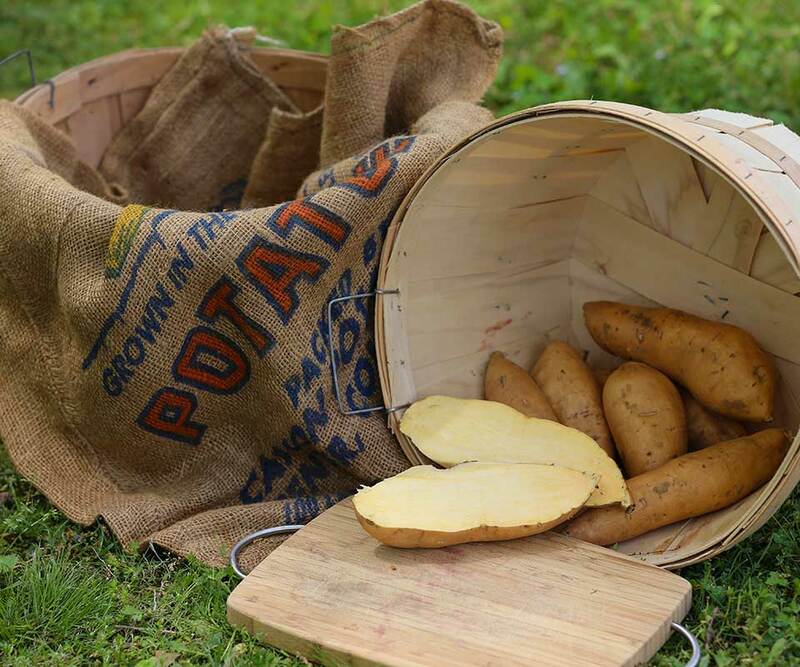 One of America’s oldest … our driest potato. 110 day maturity. 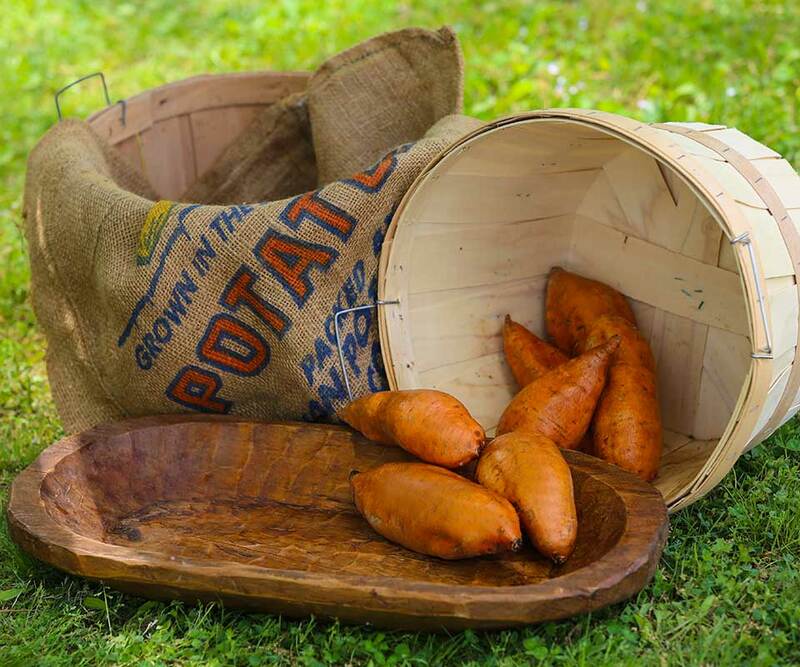 White Yams are sometimes called Triumphs, Southern Queen, Poplar Root, “Choker” and White Bunch. White as cotton inside and out, and sweet as sugar. 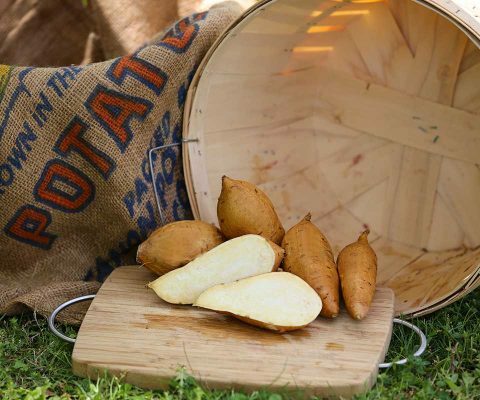 One of America’s oldest … our driest potato. Our most unusual variety. 110 day maturity. 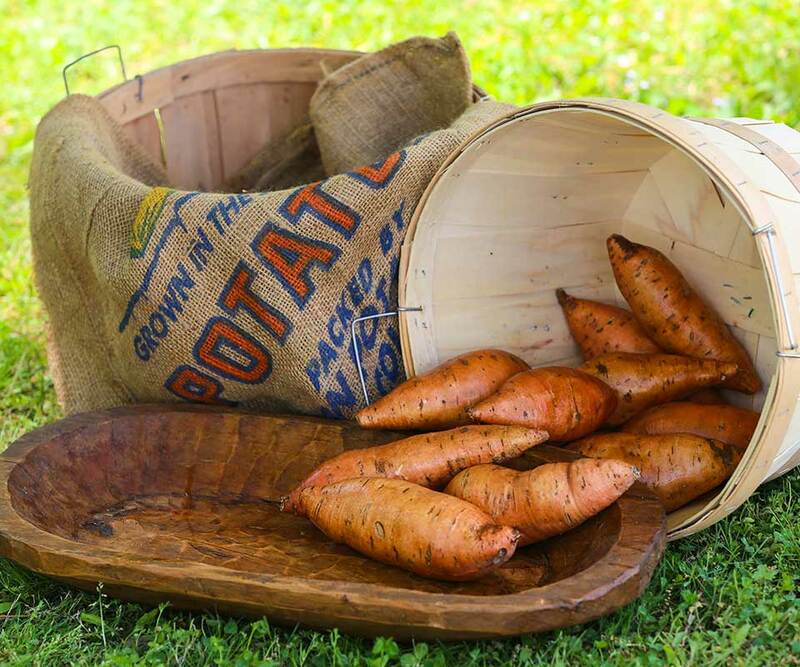 Centennials could be the most widely recognized sweet potato. Carrot color inside with copper to orange outside skin. 100 day maturity. 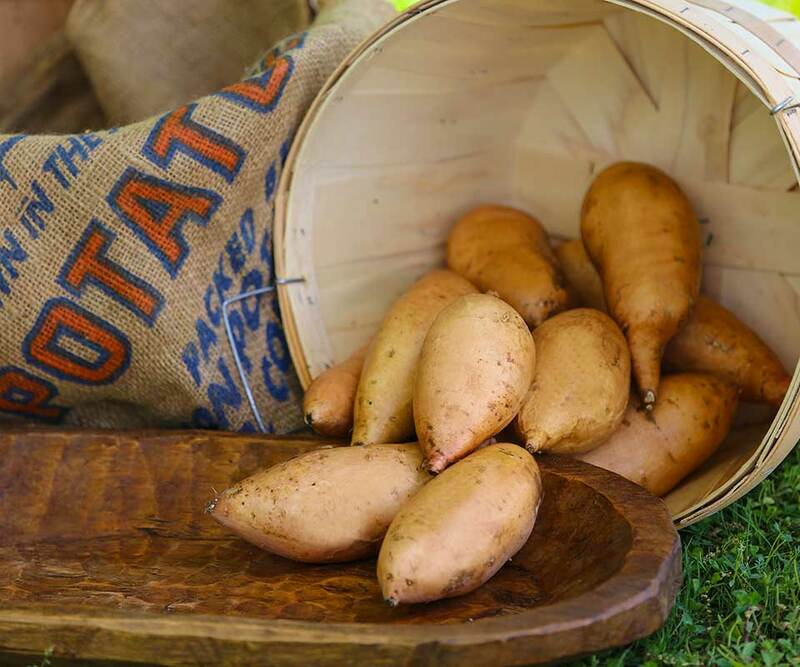 New white variety out of Louisiana, this variety has light colored skin with a pink cast and a white colored flesh that may have some yellow tint. It allows for various cooking uses. 95 day maturity.